All books are signed by Sarah and Express posted within Australia. More info. SPECIAL OFFER – Previously Out of Print! 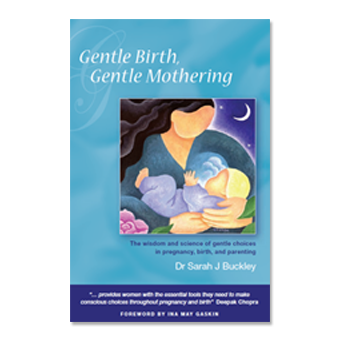 Note: This 1st edition of Gentle Birth, Gentle Mothering was published in 2005. For Sarah’s most recent 2009 edition, see here. You can see the differences between editions at the bottom of this page. Beloved by professionals and parents worldwide, Sarah’s best-selling first-edition book gives information and confidence for the best possible start. “I first read your book when my doula loaned it to me and I remember feeling a resounding beauty and confirmation of how beautiful birth and mothering can be. Can birth really be natural and safe for you and your baby? How does the superb design of your female body enhance safety, ease and pleasure in labour and birth? Can a gentle birth give the best possible start in life, leading to profound and pleasurable experiences in the early days, weeks and months for all involved? Gentle Birth, Gentle Mothering answers your important question and gives you the information you need to create a safe, satisfying, and gentle start to family life. 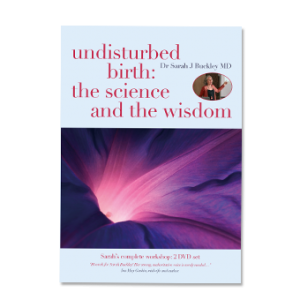 Dr Sarah Buckley, family physician and mother of four, shares the science as well as the wisdom of gentle choices in pregnancy, birth and parenting. 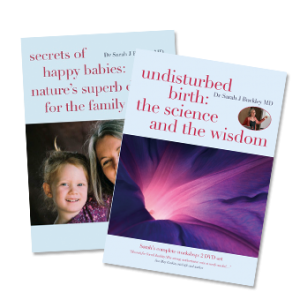 Dr Buckley explains, in easy to understand language, the logic, safety and benefits of natural birth and gentle parenting, using the best medical evidence. She also explains the conditions we need to optimize the flow of the “ecstatic hormones” that every woman’s body produces during a natural labour and birth, and that continue to support her during early mothering. Dr Buckley’s warm and wise words have helped mothers, babies, fathers and families around the world. Read their feedback here. Professionals have also praised her work – read their comments here — and Gentle Birth, Gentle Mothering has also had glowing published reviews, here. 9 Homebirth in Australia – the personal and the political . 11 Prenatal Diagnosis – technological triumph or Pandora’s box?